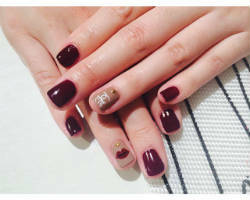 Marie Nails was started in Japan by Masomi (Marie) Ueno. 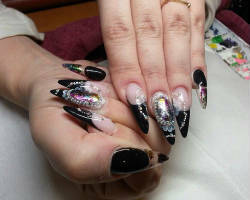 Marie Nails exhibits top notch salon craftsmanship on just nails. Today, more than 19 areas of branches can be found. 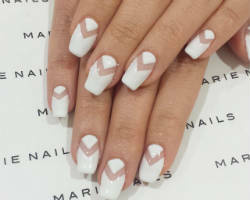 At New York and Los Angeles, Marie Nails is a favorite guest’s choice in the form of celebrities, fashion who’s who and the local fashion conscious clienteles. Both a salon and school, the benefits earned at Marie Nails has pleased all alike in the world of high end couture among nail salons at NY. In-house specialty is gel nails. Akiko Sugiyama owns her own studio in New York. This one fantastic gal has been trained at Toni & Guy in London and now brings forth at the big apple her talents. The Akiko Hair and Nail salon offers modern and juicy nail arts that come in hundreds of designs and combinations. All requests are answered by an aesthetician to please your very moods. Prices range from as low as $35 to as high as $70 on nail extensions. Reviews have widely acclaimed the top performance of Akiko Hair and Nail. 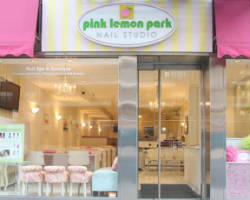 Pink Lemon Park Nail Studio is a very cute store at the heart of NY, full of surprises and out-of-the-box treats, even your little girls would love. The salon is an expert to whipping up fancy, cool and trendy nail designs, which can be applied with waxing and the most accepted sanitation procedures. Owner Christine Kwon created the store as a dream come true. Opening its doors to life’s stress and finding an escape from a tight urban living. And, this was made real at Pink Lemon Park Nail Studio. Drop a “Get near me!” sign on a perfect set of nails after leaving the store. Celebrate with glam and glitter at Pink Nail Salon. Where, each guest receives a luxury nail treatment, with only quality service and most affordable manicure and pedicure services from a nail spa. Find a showcase from the basic nail arts to the wackiest gel 3D forms at Pink Nail Salon. For brides, now she can walk down the aisle and wear fantastic nail arrangements in acrylic, hand painted, polish changes, add-ons, soak-offs, fill-ins, Shellac, French or American manicure and UV gel designs. Pink Nail Salon captures every hearts in manicure magic. Delacqua means “something beautiful out of water.” The classic Rome and Italian inspired shop was started in 2002 as a highly demanded and much awaited local hair salon and spas located at Brooklyn. Owner Edward Malina got this idea while he was proposing to his wife riding on a gondola at Venice. From then on, the success of Delacqua has never failed to please its guests. Choose from a long list of top hands and feet packages like the French Shellac polish, European pedicure, gel mani and pedi, LCN-light concept nails, LCN extensions on LCN Tips and the LCN removal. At the heart of Albany, one can find the Rainbow Nails Spa Beauty Salon, a modern and large space for everyone to take pleasure in. Inside, they can use free WiFi, more gifts and, of course, the most luxurious spa treatments. Enjoy a nail salon, hair salon, facial skin treatment and body treatment in one great place. There is also a good selection of nail shades, nail designs, manicure, spa pedicure and more nail care. A large party room is used to accommodate adults and children for a complete celebration of birthdays, baby showers and bridal showers. Say “I Dos” wearing the most stylish set of nails, thanks to Nails & Spa of Glenmont. Its staff allows time to welcome suggestions and questions from customers, where services they pick are customized to please all their wishes and desires on nails. 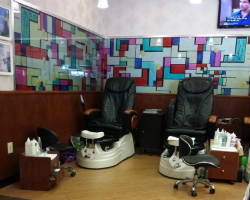 Even more, the nail spa treatments are cheap at Nails & Spa. While, only the most high end facilities and tools are used. For a complete nail salon service, full sanitation is maintained to protect the wellbeing of guests. Nails & Spa is a bridal getaway with peace, serene and relaxation, all in one place. 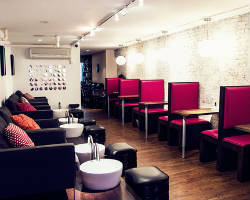 For a traditional and trendy nail service, Blush is the no.1 NY nail salon, today. With a lounge-inspired setting, guests are provided with only the best natural nails, waxing and massage services. Inside its door, get to try magical hands at work from a group of skilled artists who always aim to build the most beautiful look on brides. Reshape your wellbeing and pamper your spirit with Blush 101 salon treatments. With a bit of fun and creativity, everyone will have a blast at Blush.